Good nutrition is important in establishing and maintaining a foundation for a child’s future physical and mental health, academic achievement and development. To enhance the building of this critical foundation, Nourish to Flourish provides disadvantaged children with nutritious food. Nourish to Flourish is a menu of nutritious food choices that generates revenue for the schools and promotes community goodwill. 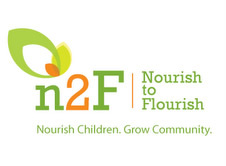 Nourish to Flourish goal is to be the signature fundraiser for the schools and to give back to the community. The program is set up to streamline all the fundraisers the schools participate in by providing the schools with a higher profit margin to work from. In addition, for every 5th meal delivered AUF will donate one meal to an underprivileged child in your community. Simply select any of the high quality food entrées for your family, and AUF will contribute money back to your school, in addition to donating meals directly to children-in-need in your community. Everybody wins; the schools, families and most importantly the children that this program benefits.